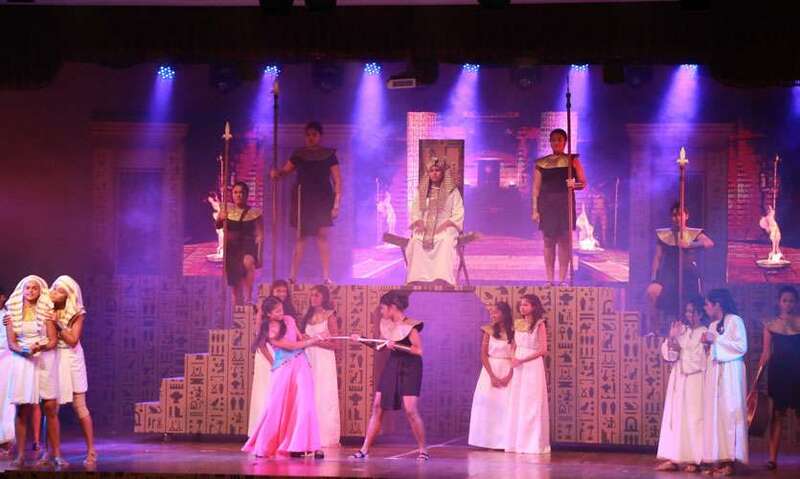 Set in the lands of ancient Egypt and based on the much adored animated film of the same name, comes the spectacular musical, "The Prince of Egypt". 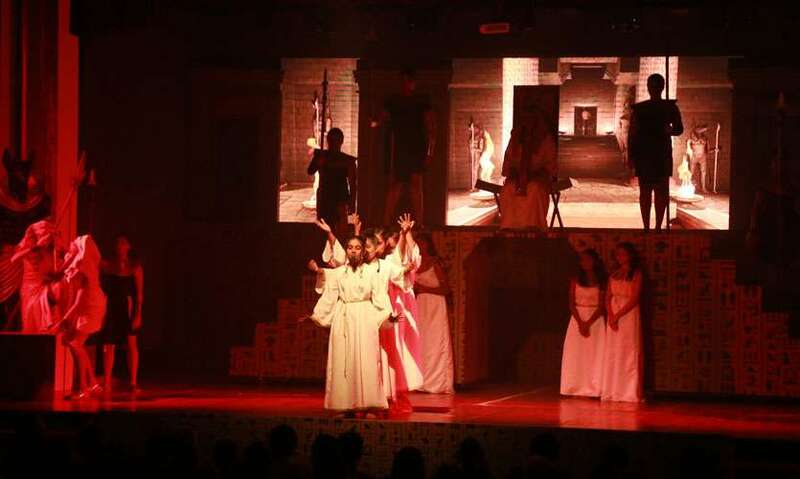 The production was staged by Ladies' College Colombo on the 21st and 22nd of September 2018 and was directed by Jehan Bastians and Neidra Williams. 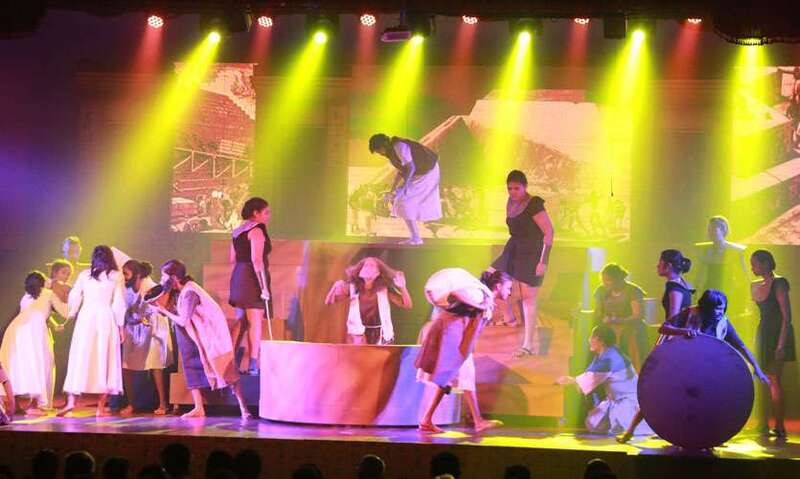 The theater spectacle was an adaptation from the biblical book of Exodus, and told us the awe-inspiring, age old story of the journey of Moses - once an adopted royal, to liberator of the oppressed Israelites in Egypt. The curtains opened to the Egyptians beating down on the Israelites as Jochebed leaves Moses in the river to save his life. As the story progressed we saw Moses and Ramses growing up as mischievous yet ambitious and proud Princes. The turning point came for Moses, when he was chasing his wife to be, Tzipporah, through the dessert. During this pursuit he stumbles upon his siblings, Miriam and Aaron, who try to convince him of his Hebrew origins. Unable to grasp this reality, he runs back home to the comfort of his palace. However, the truth about his past is finally revealed in a nightmare, by Seti, the Pharaoh himself. Subsequently, he develops a deep feeling of attachment towards the Israelites and upon witnessing an old slave being beaten, Moses rushes in to save him and accidently murders a guard. Feeling ashamed, he flees into the desert to live in exile, despite Ramses' pleas to stay. As we entered the second half of the play, we witnessed Moses fleeing to Midian and marrying Tzipporah. Several years after this, the Lord calls Moses by speaking to him from within a burning bush. Obeying God's commands, Moses returns to Egypt to convince his brother to set the Hebrews free from slavery. Ramses is unwilling to do this and doubles their workload. Moses then inflicts nine of the ten Plagues of Egypt, still Ramses chooses to harden his heart, despite Moses warnings. As Ramses refuses to listen to Moses, he begins to prepare the Israelites for the tenth and final plague, instructing them to sacrifice a lamb and mark their doors with its blood. That night, the tenth plague reigns over Egypt, killing all first borns, including Pharaoh's son. 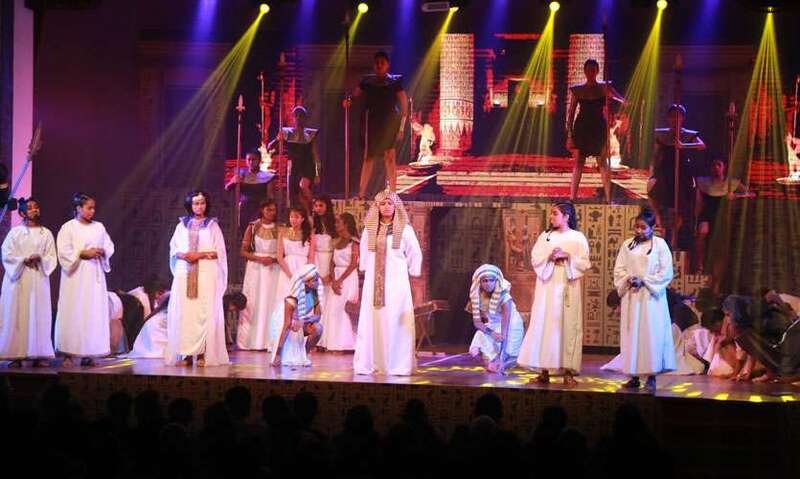 Ramses finally agrees to set the Israelites free, and the play ends with the crossing of the Red Sea. The character of Moses, portrayed by Jessica Jayasooriya, was enacted beautifully and she had the audience mesmerized from inception. Her transition from young Prince to the leader of the Israelites was commendable. Having to play the lead male role wouldn’t have been an easy task, but she succeeded in making it look like a walk in the park! Her powerful voice not only helped bring out the authority of her character, but was also beautiful and harmonious. The role of ramses played by Nuthara Kuruppu was also quite admirable, although she could have done much more in terms of her acting and bringing out the authority of her character. However, this shortcoming was dwarfed with her pitch perfect singing. The progression of Rameses from a naive young boy to the powerful Pharaoh of Egypt was portrayed beautifully. Tzipporah, as well as the four priests, played a noteworthy performance. Although the ensemble could have improved in terms of acting, the singing, overpowered the shortcomings, and left the audience in joy. The chemistry between the actors was very good and you could see that there was a lot of team work within the play. 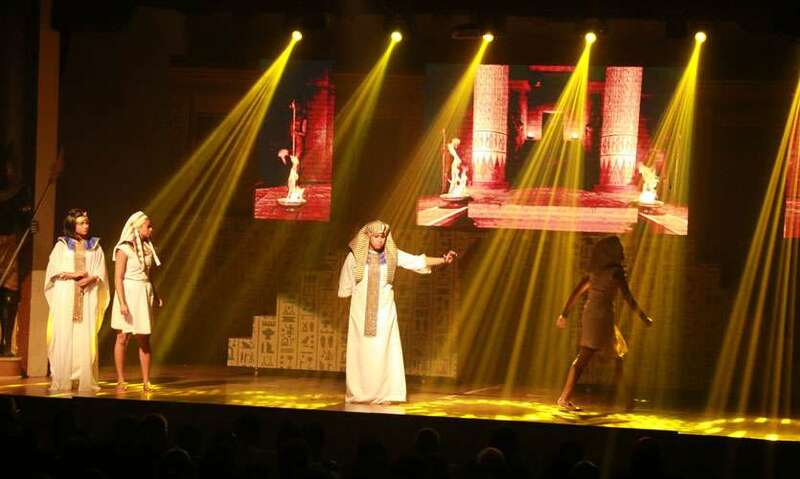 The set, handled by Javin Thomas, was impressively crafted to create the illusion of the Egyptian grandeur and the projections were tastefully designed to complement. The lighting was similarly successful in capturing the right mood and elevating the visuals without being too distracting. On the level of a school play, it truly was an amazing performance. 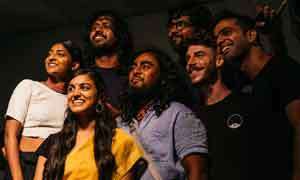 The singing was out of this world, and all the performers voices synced together perfectly in harmony. 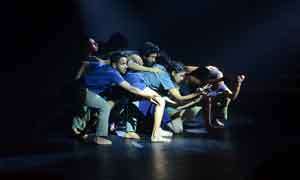 The directorial team and cast did a brilliant job in executing such a thrilling production. It was a truly marvelous night and the crowd enjoyed the play thoroughly, which was evident as the play ended with a standing ovation. “The show was quite well produced and for a production done by school girls it was definitely on a different level. "